"Ima Thief" appears in Broward County bond court. A South Florida man who told police his name was Ima Thief was met by a judge's laughter when he appeared in bond court Thursday on charges he tried to steal two televisions from a store. Police in Sunrise say Thief tried to walk out of the store with more than a thousand dollars worth of merchandise. 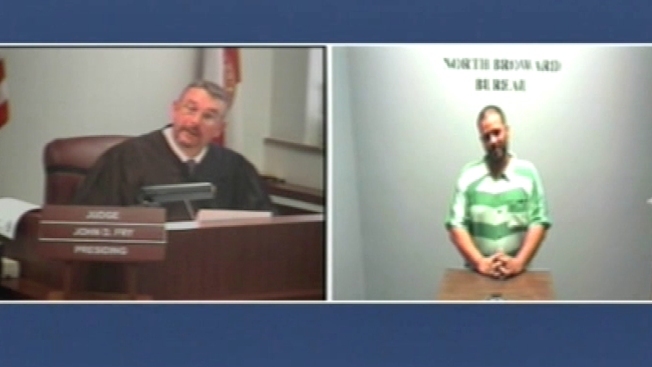 “You’re Ima Thief, sir,” Broward Judge John Fry asked the man while laughing. Police say the man tried to leave a store on the 3300 block of North University Drive in Sunrise with two television sets and three other items in his shopping cart. He was met by security at the door. When he was told to go back in the store with the items, he refused, and when officers arrived and gave the same order, he tried to get past them and out of the area, police said. The man refused to identify himself, other than to say his name was Ima Thief. He told police he was 34 years old. The man who identified himself as Thief faces charges of grand theft and resisting an officer. He’s also being held on a no-bond probation violation warrant related to a burglary.